1. How Much Money Can Be Borrowed From a Roth IRA? Although you set up your Roth IRA as an investment account to save toward your retirement, life’s unforeseen circumstances can get in the way of this goal. Different types of retirement plans carry different early withdrawal penalties, but you may not have to pay a Roth IRA early withdrawal penalty if you need the funds on a short-term basis. And even if you need your money to meet a long-term need, you may still be pleasantly surprised to discover another perk of a Roth IRA – qualified early withdrawals carry no penalty. If you’re thinking of making an early (pre-retirement) withdrawal, also called a distribution, from your Roth IRA, look at the money in your account as falling into two categories: the money you’ve actually contributed to your account (your contributions) and the interest your contributions have made (your earnings). You’ve already paid income tax on the money you’ve deposited, so the IRS does not bind your hands if you withdraw any (or all) of this amount. You can withdraw any amount of your contributions, and at any time, free of any penalties and additional tax. You must be at least 59 1/2 years of age. You can withdraw your earnings without penalty on or after the date you attain this age. You become disabled. The IRS definition of "disabled" describes a medical condition that "can be expected to result in death or to be of long, continued and indefinite duration." Furthermore, a physician must provide a statement that your physical or mental health meets this definition and renders you incapable of performing any "substantial gainful activity." You use the funds to buy, build or remodel your first home. In addition to withdrawing penalty-free contributions, you'll also be able to withdraw up to $10,000 of your Roth IRA earnings for qualified acquisition costs for your primary home. The IRS offers even more latitude by allowing you to withdraw the funds for yourself, your spouse, your child, your spouse's child, your grandchild, your spouse's grandchild, your parent or your spouse's parent. Your beneficiaries inherit your Roth IRA assets. You are not required to receive any distributions from your Roth IRA during your lifetime, which means that you can leave this asset as an inheritance. IRS Publication 590-B (Distributions from Individual Retirement Arrangements [IRAs]) provides more detail on the definitions of "disabled," "first home" and "qualified acquisition costs." Visit IRS.gov/forms and search for this publication by number to learn more about these terms. A “non-qualified distribution” is a withdrawal of any of the earnings in your Roth IRA that doesn’t fall under the IRS penalty-free guidelines for a qualified distribution. And if your withdrawal isn't a qualified distribution, you’ll owe income tax on the earnings plus a 10-percent Roth IRA early withdrawal penalty. Any of the contributions you’ve made are yours to withdraw without penalty. But the IRS also provides some exceptions to the withdrawal rules to help taxpayers navigate through certain financial straits. Medical costs. If you lose your medical insurance as a result of losing your job, you can use your Roth IRA distributions with no withdrawal penalty to pay for medical insurance. You can also use your Roth IRA distributions to pay unreimbursed qualifying medical expenses that exceed 10 percent of your adjusted gross income (AGI) in 2019. (For tax year 2018, penalty-free Roth IRA withdrawals to pay for unreimbursed medical expenses include costs that exceed 7.5 percent of your AGI.) IRS Publication 502 (Medical and Dental Expenses) provides a list of qualifying medical expenses. Visit IRS.gov/forms and search for this publication to see if your medical expenses qualify. Education fees. 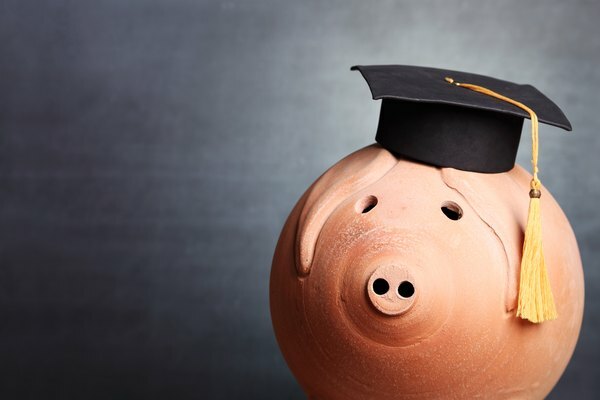 You can use your Roth IRA distributions with no withdrawal penalty to pay for qualifying higher educational costs at eligible educational institutions. IRS Publication 590-B lists these costs, which include as tuition, fees and books, and defines eligible educational institutions such as accredited public and private post-secondary institutions. Publication 590-B also lists other exceptions for penalty-free Roth IRA non-qualified distributions. Another way to avoid the early withdrawal penalty is to “borrow” from your Roth IRA. Although you cannot borrow funds in the traditional sense as you would from a lender, you can withdraw funds from your Roth IRA and return them to your account within 60 days without having to pay a penalty. Roth IRA withdrawal rules refer to this as a “rollover,” which you can only do once a year. Note that if you do not return the funds to your account within 60 days, your short-term “loan” becomes a permanent withdrawal that is subject to the Roth IRA withdrawal rules, including penalties. The compensation you receive – your income – must be “earned” instead of “unearned” to qualify as a funding source for your Roth IRA. IRS Publication 590-A (Contributions to Individual Retirement Arrangements) defines earned compensation, which includes wages, salaries, commissions and self-employment income. Examples of unearned compensation, which are not eligible for funding a Roth IRA, include interest income, dividends and pension payments. Although alimony and separate maintenance compensation is (strictly speaking) “unearned,” the IRS does allow these income sources as contributions to your Roth IRA. Single, head of household or married filing separately (living apart from your spouse the entire tax year). If your modified adjusted gross income is less than $122,000, you can contribute up to the maximum limit. If your income is greater than or equal to $122,000 (but less than $137,000), you can only contribute a reduced amount. Married filing separately (living with your spouse for any part of the tax year). If your modified adjusted gross income is less than $10,000, you can only contribute a reduced amount to your Roth IRA. Married filing jointly or qualifying widow(er). If your modified adjusted gross income is less than $193,000, you can contribute up to the maximum limit. If your income is greater than or equal to $193,000 (but less than $203,000), you can only contribute a reduced amount. Single, head of household or married filing separately (living apart from your spouse the entire tax year). If your modified adjusted gross income is less than $120,000, you can contribute up to the maximum limit. If your income is greater than or equal to $120,000 (but less than $135,000), you can only contribute a reduced amount. Married filing jointly or qualifying widow(er). If your modified adjusted gross income is less than $189,000, you can contribute up to the maximum limit. If your income is greater than or equal to $189,000 (but less than $199,000), you can only contribute a reduced amount. Each year, Roth IRA contribution limits are subject to change because of changing tax legislation. For example, from 2015 through 2018, the most you could contribute to your Roth IRA was $5,500 ($6,500 for taxpayers who were 50 years of age or older). But for tax year 2019, the maximum amount increases to $6,000 ($7,000 for taxpayers who are 50 years of age or older). The maximum contribution amount cannot exceed your taxable income, and it includes the total of your Roth IRA plus any traditional IRAs that you may also have. Worksheet 2-2 in IRS Publication 590-A walks you through how to figure your reduced Roth IRA contribution amount. Investopedia: How Much Can You Borrow From a Roth IRA?